I followed the instructions but Im getting this error, when im trying to click the button it only loads and no response. 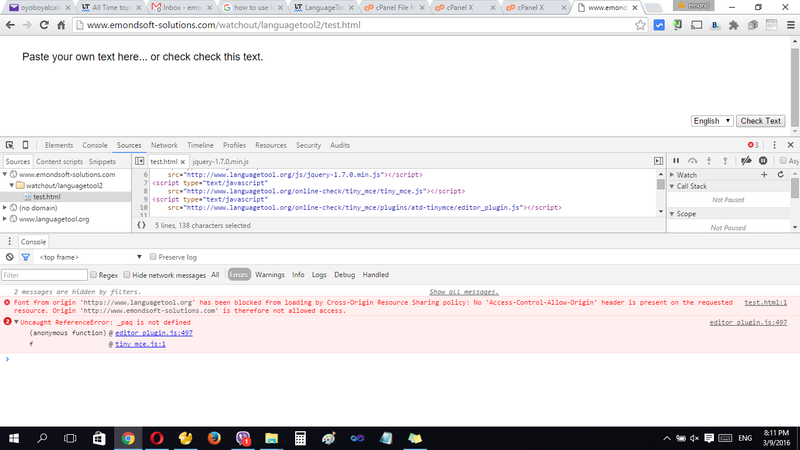 Calling http://www.emondsoft-solutions.com/watchout/languagetool2/proxy.php directly with the browser also leads to an error. However, this is not something we can debug from outside. Please follow the instructions in that page or contact your web hosting provider for help. I managed the external error , now the remaining error is uncaught referror: _paq not define. Hi thanks, my hosting opened port 8081.And its works. 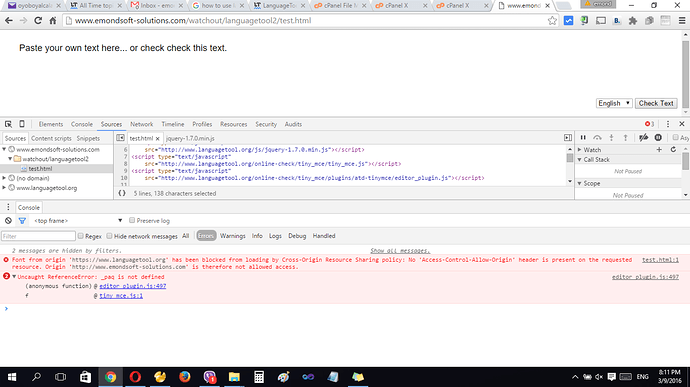 Now may i ask if i can show the ‘text results’ to my custom page like modal page? There’s no option to show the results in a modal dialog, so this is something you’d need to develop yourself.